Are you a "grey nomad" living the dream in Queensland but occasionally need to fly interstate to catch up with family? 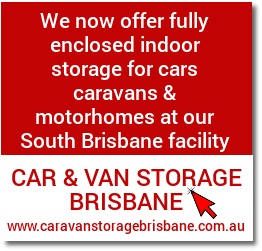 Our short term caravan storage service is designed with you in mind. Gold Coast Car Storage is just 4 minutes from Gold Coast airport and we even offer a free shuttle bus service in conjunction with EzyParking to get you to and from the Airport. We are open from 4am 7 days a week through till the last plane has landed so you will never be stranded. 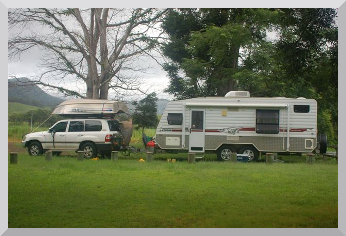 So whenever you feel the need to visit family interstate you can just drive in and park your car and caravan, trailer or motor-home and our friendly staff will take care of you. 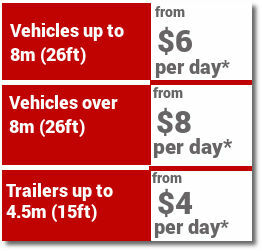 We can offer daily, weekly or monthly rates and can store just your caravan or your caravan and car. We can organise your vehicles to be serviced and detailed while you are away and can even arrange for minor repairs to be carried out.